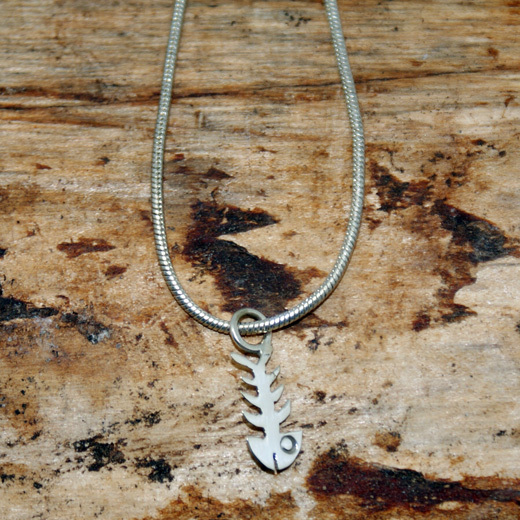 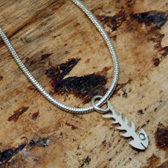 A very small lightweight and delicate pendant from Pura Mexico, this bonefish design outlines the fish and is made from sterling silver. 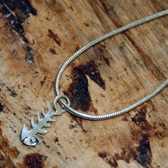 This pendant comes with a free 18 inch silver plated snake chain to create a beautiful necklace. 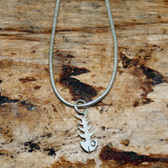 There are earrings to match this pendant here.